Taking The Cure: The Trudeau Institute In Saranac Lake NY For Tubercular Healing & The History Of The Adirondacks! The infectious bacterial disease tuberculosis (TB) has been present among humans since antiquity. However, today tuberculosis is most often remembered for the widespread public concern it caused in the 19th and early 20th centuries as its prevalence increased, especially among the urban poor. 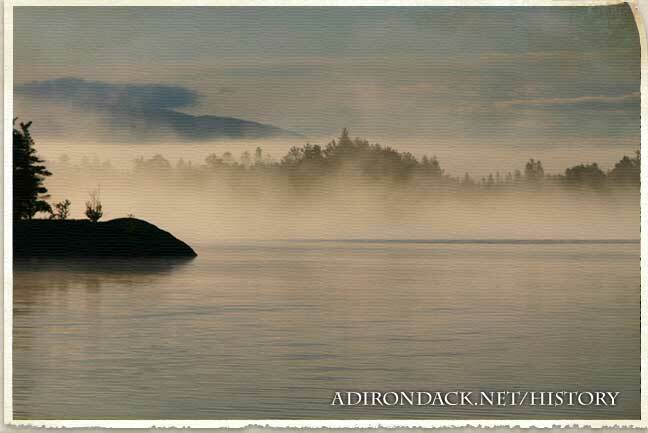 Among those affected was Dr. Edward Livingston Trudeau, who moved to the Adirondacks in 1876 intending to live out his last days surrounded by the beautiful scenery. Thanks to a change of climate, Trudeau discovered the "rest cure", regaining his health and helping others to do the same. Most tuberculosis infections affect the lungs, and are accompanied by chronic coughing (often bloody), fever, night sweats, and weight loss. The weight loss caused by the disease gave rise to the historical term "consumption" which is often used instead of the name tuberculosis. It is spread through the air and is contagious for those around people with active TB. Dr. Edward Livingston Trudeau had seen his older brother die of tuberculosis and was diagnosed with it himself in 1873. Looking for a respite from the illness, Dr. Trudeau moved to the Adirondacks in 1876, an area he had previously enjoyed visiting. To his surprise, Dr. Trudeau found much more than a peaceful retreat in the Adirondacks - after spending time in the cool, clear mountain air, he found that his tuberculosis had been subdued. Although he expected to live only a few months more, his renewed health allowed him to thrive for many more years and assist others with TB. Dr. Trudeau opened the Adirondack Cottage Sanitorium in 1882, which was the first "Cure Cottage" in Saranac Lake to treat tuberculosis sufferers. Similar to his own experience, Trudeau's patients rested in the cottage and were exposed to plenty of fresh mountain air. News of Trudeau's success spread rapidly, and before long people from all over the world flocked to the village to take the "rest cure" in the Adirondacks. Saranac Lake quickly grew into a health resort for those seeking tubercular healing, and cure cottages sprung up throughout the village. Trudeau organized the Saranac Laboratory for the Study of Tuberculosis in 1894; the first laboratory dedicated to studying tuberculosis. The renamed Trudeau Institute in Saranac Lake remains a center for the study of infectious diseases and Trudeau's legacy as a public health pioneer continues through the present day. Although TB is now most commonly prevented with a vaccination and treated with antibiotics, Trudeau is remembered for recognizing the role of crowding in disease transmission, the use of isolation in treatment, and stressing the importance of fresh air, exercise, and diet for his patients' health.